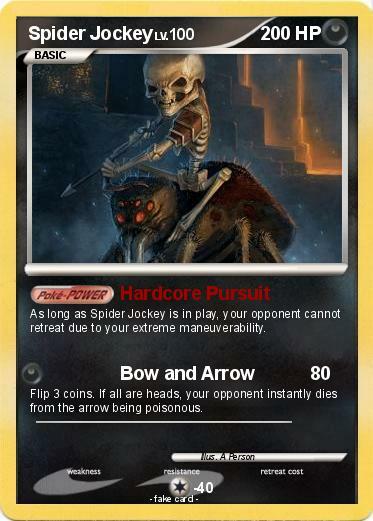 As long as Spider Jockey is in play, your opponent cannot retreat due to your extreme maneuverability. Flip 3 coins. If all are heads, your opponent instantly dies from the arrow being poisonous.